I want to live in this doll house! If I was Alice in Wonderland, I would drink the potion that made me shrink so I could live in this wonderful doll house. 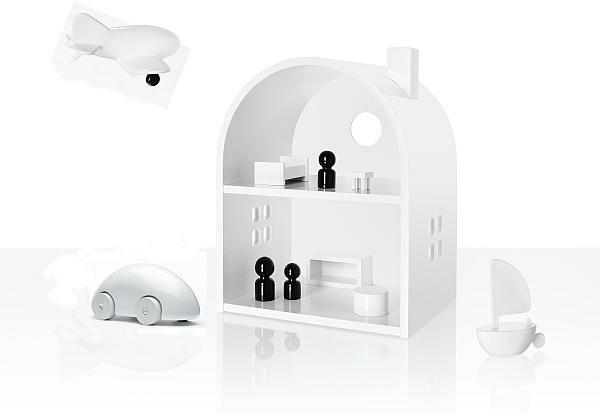 Not only is the Playsam Dollhouse stylish and sleek but it just wants to be touched. Those clean Scandinavian lines, the elegance, the space! Ok, so before I get too carried away with how it looks, it’s also very usable. We’ve featured other wonderful Playsam toys on Babyology before so you can get the classic car or the airplane to go with the house. Or fill it up with pretty much any miniatures that want to be housed in such a smart abode. At €87 plus shipping, it’s not cheap, but what stylish house is these days?